Cover art by Barry Windsor-Smith. The Monster of the Monoliths, script by Roy Thomas, breakdowns by Barry Windsor-Smith, pencils by Craig Russell and Val Mayerik; inks by Dan Adkins and Sal Buscema. 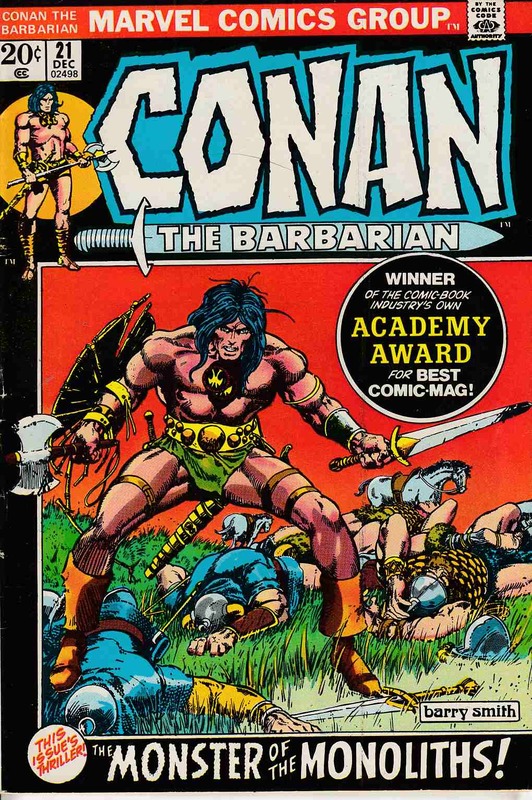 Makkalet; Conan is taken captive in Makkalet when he defects from the Turanian army; Conan joins and is betrayed by Makkalet forces; Conan fights giant toad-god; adapted in part from the story "The Black Stone" by Robert E. Howard.